How long does it take to compost leaves? 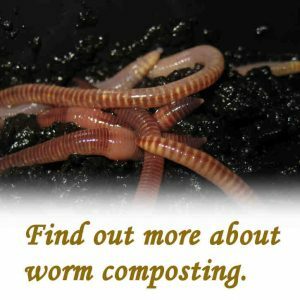 Speed up your composting. 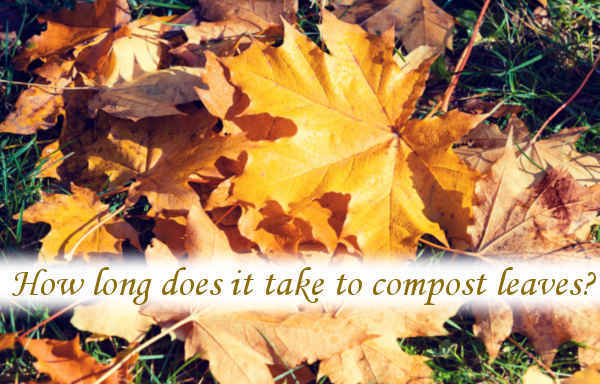 How long does it take to compost leaves? Every Autumn/fall we see leaves raining down from the trees. Some people see them as a problem that gathers up and blocks the drains. Others see them as an opportunity and gather as many as they can before they’re blown-off to else where. 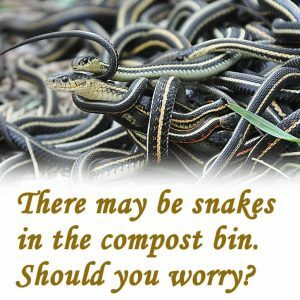 If you want to be the opportunist and make compost from this annual bounty, you may be wondering how long before you’ll see any usable compost. So, how long does it take to compost leaves? Be ready to wait at least 12 months if you want a finished, black, crumbly compost that’s ready to use. If you don’t turn the heap over it may take even longer. Adding white-lime and lawn clippings will be an advantage. Any composting container can be used for composting leaves, for example, our Rolypig Composter is well suited to smaller volumes of leaves. 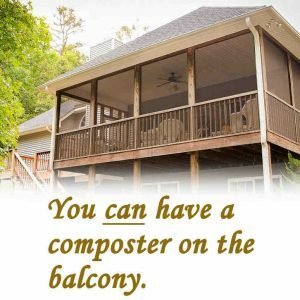 It maintains the best conditions for composting inside. This is speeding up the composting process by keeping things damp inside the barrel. 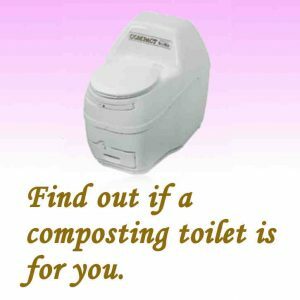 There are many types of composters at Amazon, that are good for composting leaves. 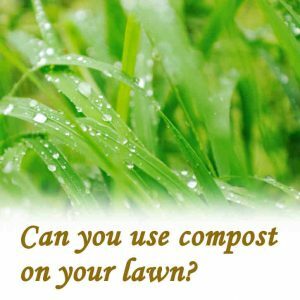 Composting leaves in plastic bags is a good method, this keeps the moisture level high, but composting needs air, so be sure to shake the bags up, from time to time. Keep the tops left open all the time. Oak leaves can be tricky, because of the natural preservatives in these leaves, so, oak leaves need mixing in with a larger pile of other leaves. The compost that is produced by oak leaves breaking down will be OK to use, by definition, the preservatives (tannins) will have been reduced for any leaf breakdown to have happened..problem is- this would be several years for this to happen with a pile of oak leaves, only! Pine needles and waxy leaves are more problematical than broadleaf leaves. Best to chop them in some way, maybe a shredder or some other means of bruising the leaves as much as possible. It is always best to mix these waxy leaves with other types of leaves if possible. Leaf compost is a bit different from compost made from general green waste. This is because leaves are drier at the point of collecting them. So dry, that a good watering is needed to allow the bacterial and fungal organisms to get to work on them. It can be a good idea to store up dry autumn leaves to add to the wetter green waste from the kitchen, so that the mix aids good composting right through the year. Store the leaves in a dry condition, because, if stored loose and just damp, there are many rotting fungi that will just rot the leaves. Just rotting, going mouldy, is not going to produce a useable compost material. Far better to mix in with the green wastes mentioned above. The waxy leaves, from evergreen shrubs and cypressus-type trees, are a different story. These leaves just do not break down very quickly at all, unless you macerate them (chop them to the point of a mush!). 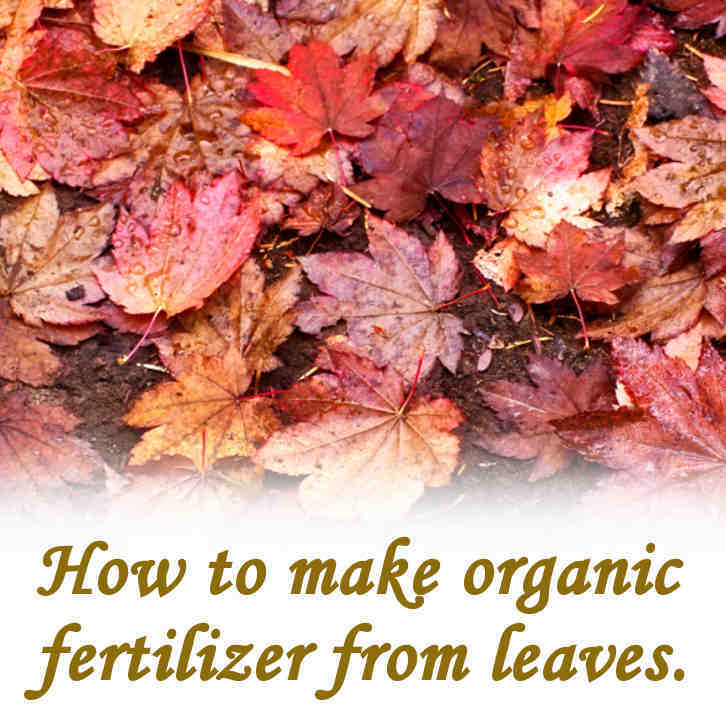 It is better to just heap these types of leaves up, and cover the pile with soil. Leave the pile to rot over a number of seasons, it will rot eventually, and while it does so, it will be a home for many invertebrates. 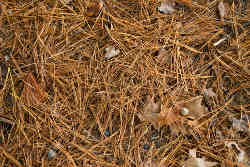 The term ‘leaf mould’ is often used in connection with dead leaves on the forest floor. Usually undisturbed from the time they have fallen from the trees, these leaves start to make up a humus-rich layer. Sometimes this layer builds up, and, exhibits a profile of rotted dark material underneath, with still-recognisable leaves sitting on top. Leaf mould is not a product of a composting process, as we would, normally, recognise it. This means that we would not aim to produce leaf mould by the natural process on the forest floor. 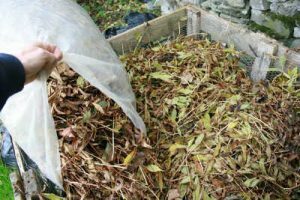 It is far more efficient to stack up the dead leaves in autumn to compost them, or, store the leaves dry, for use all year round to add to the wet vegetable waste in the compost bin or pile. 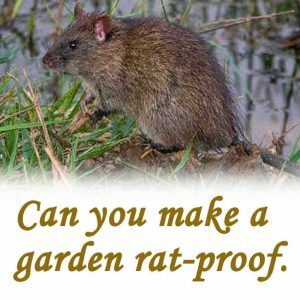 It could well be a better option for some leaves from ornamentals, to use them as an open mulch around shrubs and other perennials in the border. This is a good way of suppressing weed growth, retaining soil moisture, and, returning nutrients to the soil, all in one go! The only thing to worry about, is, a possible safe harbour for slugs, who will live in leaf litter in some situations. My experience is that songbirds love turning over leaf litter..and discovering the helpless molluscs hiding within! Using leaves as a mulch is, pretty much, mimicking nature on the forest floor, and usually gives great results. 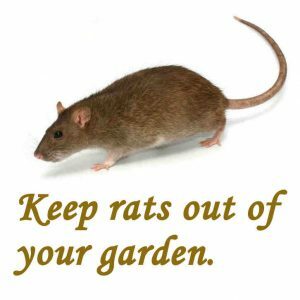 Dead leaves could be the best mulch for raised bed vegetable garden, as long as the leaves are not from a known diseased shrub or tree. If the leaves have senesced early, that is, died off during summer, and dropped from a very sickly tree, then it is best to burn these leaves as soon as possible. A healthy leaf mulch is a very useful way to suppress weed growth around vegetables, with the added bonus of retaining moisture in the soil. Some care has to be exercised on heavy (clay) soils, to prevent excessive dampness around the base of crop plants by having too thick a layer of mulch. 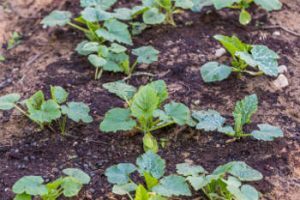 Too much fresh mulch can increase the risk of fungal diseases attacking the crop plants, and also it can prevent air from getting into the soil. As always, there are mechanical devices to make leaf muching easier and quicker. Be ready to wait at least 12 months if you want a finished, black, crumbly compost. Add enough water to keep the leaves moist. You can speed the process by turning the heap over. Add hydrated white-lime to neutralize acids. Add fresh-cut lawn clippings, the nitrogen will balance the carbon in the leaves. Store dry leaves and gradually add them to a compost bin throughout the year. 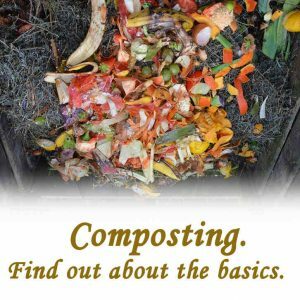 Previous Post: What goes in a compost bin?